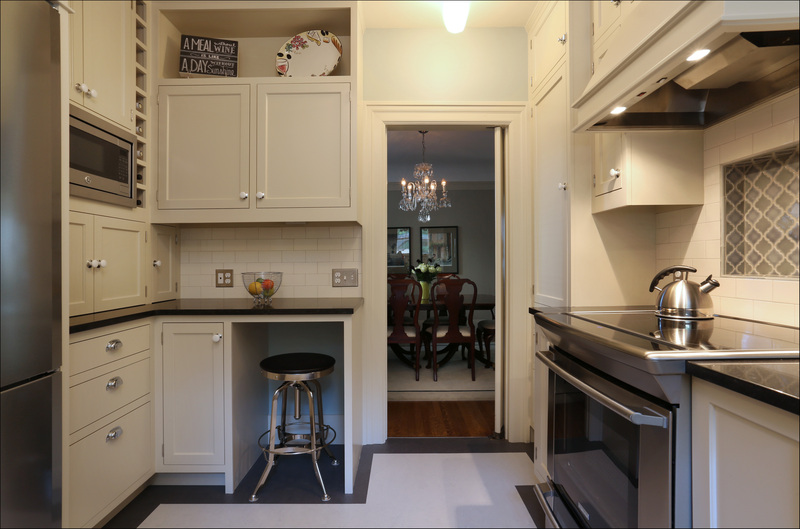 Reversing the damage of a poorly considered ’80s remodel and packing a compact kitchen with storage without making the space feel cluttered were two important goals of this recently completed Arciform kitchen remodel. But don’t take our word for it. 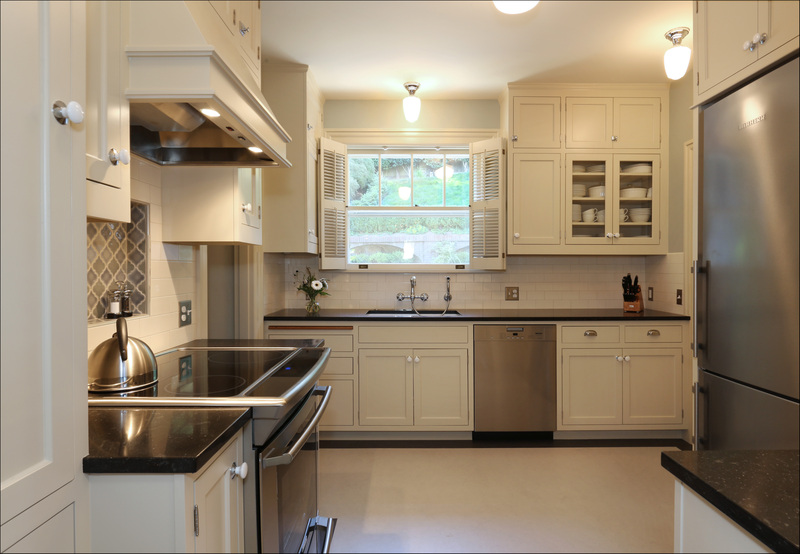 We recently interviewed the homeowners to get a “client’s eye view” of their kitchen renovation experience. What were your goals for this renovation? We had several goals. All were equally important to us. We badly needed an update of the large appliances. There were electrical needs. We had only 3 outlets and two overhead lights – one over the sink and one in the center of the room. The room looked like Macy’s kitchen department. 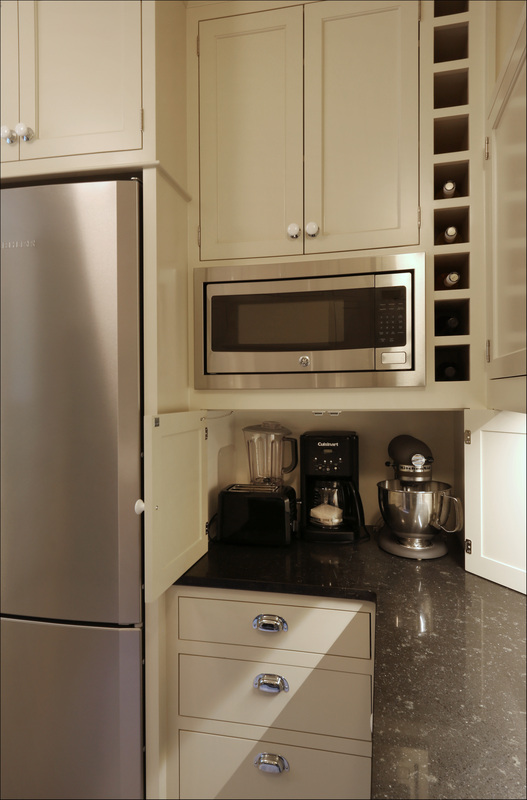 With no storage for small appliances, the counter space was used for the toaster, the mixer, and so on. My spices were stored in 3 different places. We needed more counter space. The house was built in 1916, so we wanted the design to reflect the look of the rest of the house. 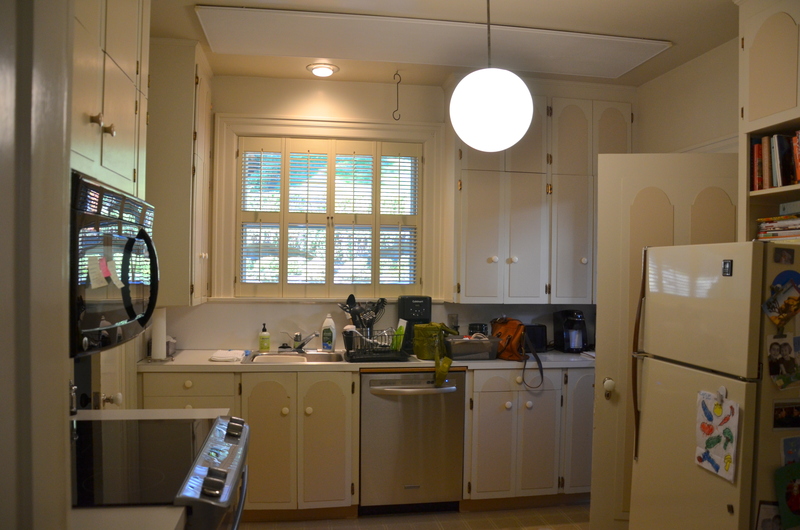 Here’s a peek at the kitchen before the remodel. What were your concerns going into the remodeling process? We chose Arciform after some thoughtful research. We hoped Arciform COULD DELIVER. We loved their ideas and their willingness to partner with us to make the kitchen happen. They did deliver. The design is the key. 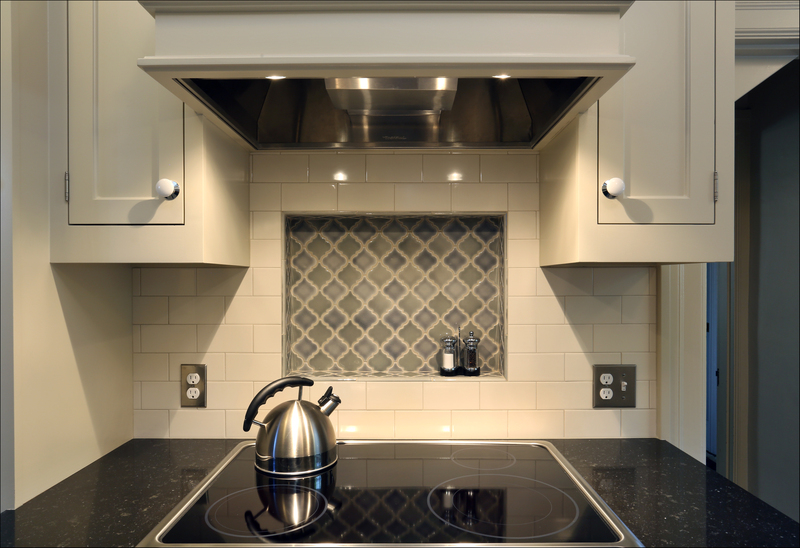 Arciform worked with us to design every inch of the project. We revisited the design over and over. Arciform made what WE wanted and needed an essential part of the design process. As the design evolved, we learned about materials, costs and even construction. What are your favorite elements of the completed kitchen and why? I LOVE how it reflects the period in which the house was built. This makes it a better house. The lighting is great! I can see when I cook. I have counter lighting as well as 4 ceiling lights. Using small appliances isn’t a task anymore. There are outlets everywhere. 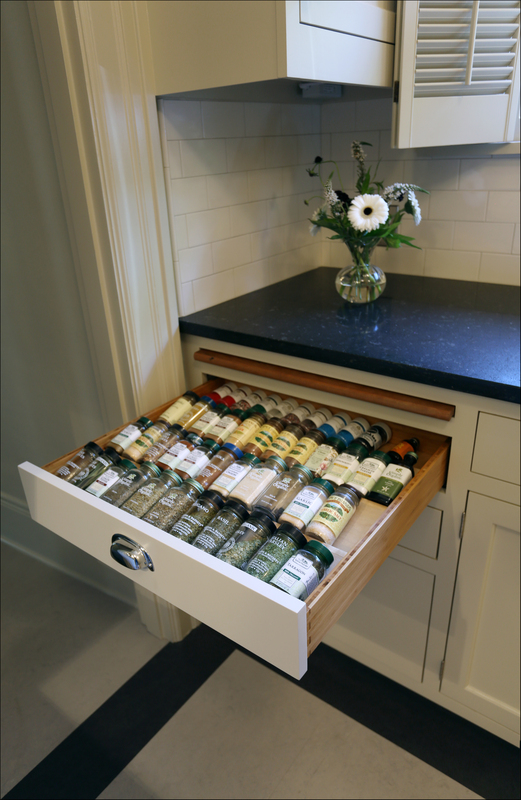 My spices are all in one drawer and easy to see. Because I have an appliance barn, the Macy kitchen department look is gone, and I have lots more counter space. The large appliances are “state of the art.” They are more efficient, more quiet, more dependable and really fun to use. Tell us about your experience of working with Arciform. Our working relationship with Arciform was great. From the estimate to the finished job, there were no surprises. I think their strong suit is communication. They stayed in touch by text and email, informing us of even small changes in the schedule. All the personnel are excellent people – smart, thoughtful and skilled. The workers all cleaned up after themselves. It was a pleasure to help Donna & Bill get the kitchen they’ve always wanted. How can we help you meet your goals for your home? Get more details about our process and schedule a design consultation here. 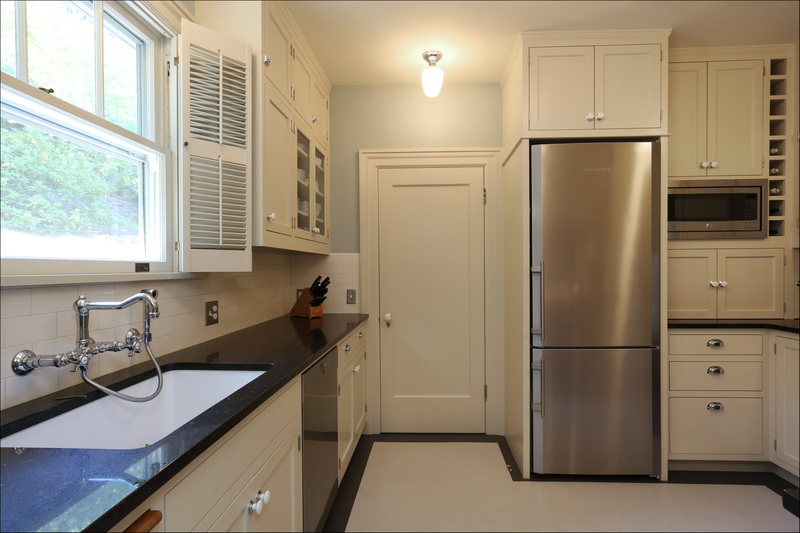 ← Design Secrets: Which Kitchen Sink is Right for You?